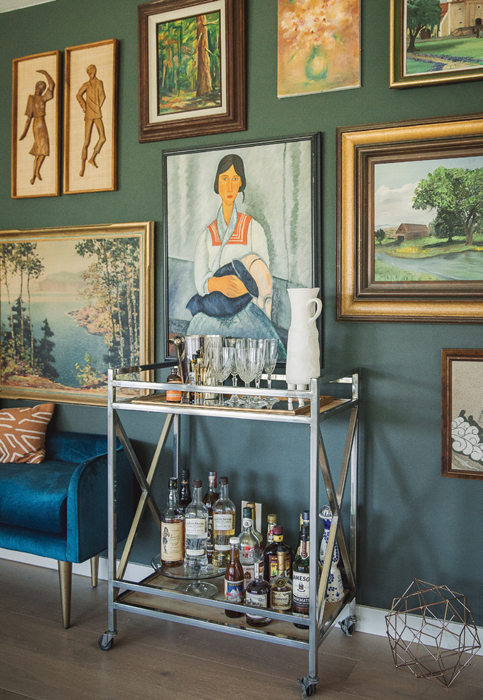 Interior designer Rebecca Plumb makes updating her sprawling 1960s home an ongoing—and sometimes interactive—project. Just about eight months after purchasing her dream midcentury-modern house, Rebecca Plumb made another huge investment—in herself—and jumped feet first into a new career as an interior designer. 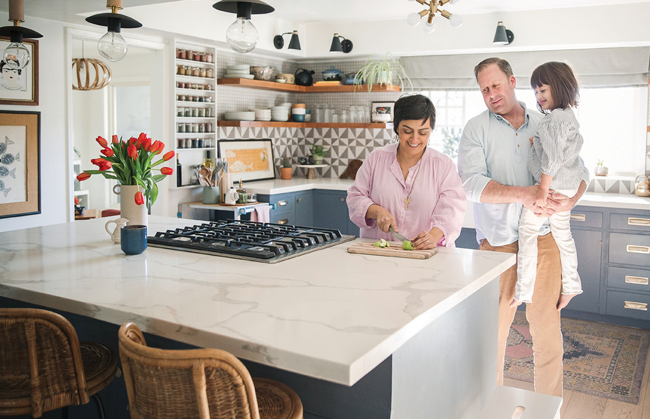 In between creating colorful, collected interiors, curating memorable exteriors (see Freeport Bakery’s outside upgrade) and hosting Creative Mornings Sacramento (a monthly breakfast series for the creative community), Plumb has also been working tirelessly on her home. Room by room, finish by finish, she and her husband, Terry, have been breathing new life into the #plumbmidmod for more than two years. Most recently, they took on a “One Room Challenge” and remodeled their kitchen in just six weeks. The exterior also got a fresh new color palette, which Plumb chose with the help of her Instagram followers (@studioplumb). 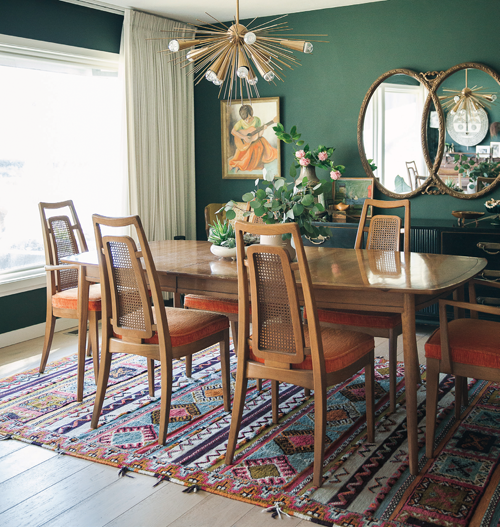 Of course, there are still a lot of projects on the Plumbs’ to-do list, but thanks to Plumb’s professional design chops, longtime affinity for midcentury décor and sharp eye for thrifted treasures, you’d never know it. 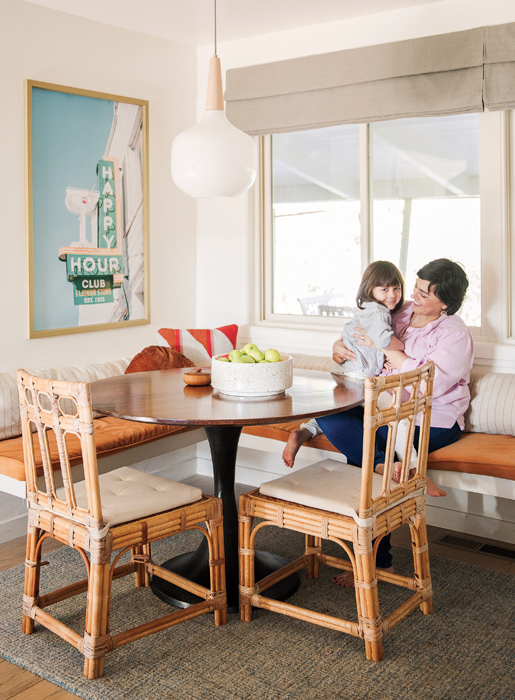 Plumb snapped the photo above the breakfast nook, and her mother sewed the bench cushions and drapery. 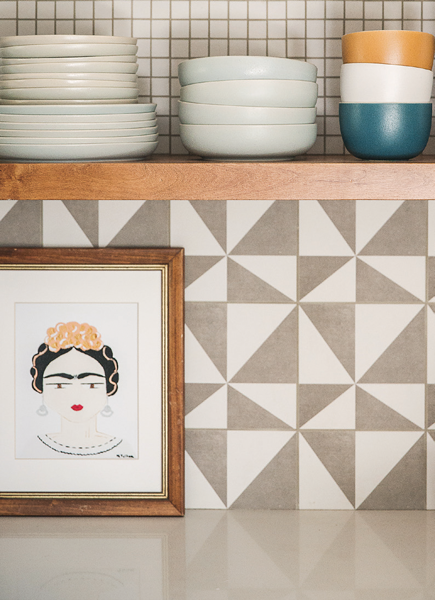 Backsplash tile from Natural Stone Design Gallery. Nearly all of the artwork displayed on the dining room walls was found at garage sales and antique fairs. 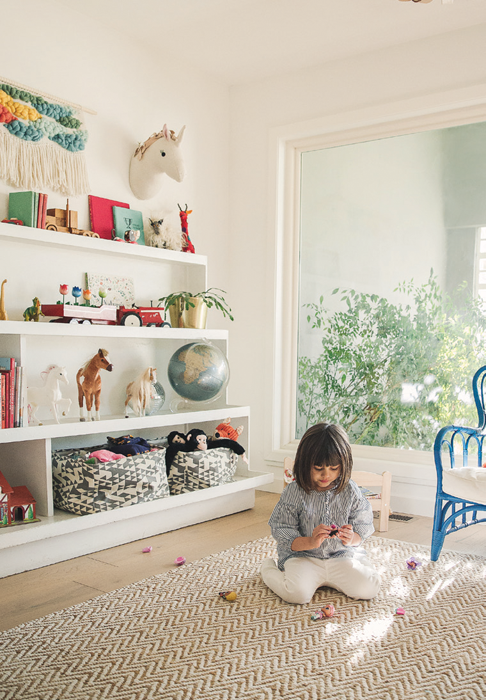 The playroom, which looks out to a courtyard garden with a pond, features an old shop’s shelving unit that neatly displays Cecily’s toys.